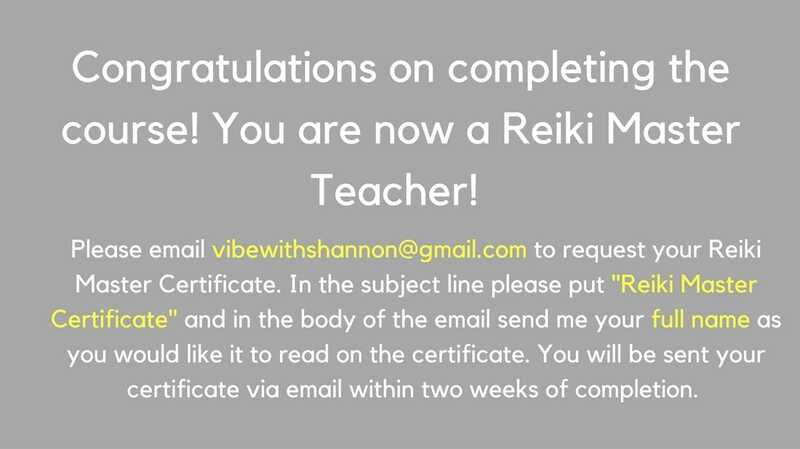 Hello and welcome to Reiki With Shannon! Below you will find the Reiki Levels 1, 2 and Master Level manuals. Please downlaod them to your computer and study each manual as you follow along with each video. Download and read Reiki Level 1 manual. Watch Reiki Level 1 Slideshow. Watch and receive Reiki Level 1 Attuenment. Repeat with each level. Feel free to start discussions and ask questions in the facebook group. You are welcome to contact other students to set up to exchange practice Reiki treatments. After downloading and studing the Reiki Level 1 manual, you may proceed to the Reiki Level 1 slide show and then attunement video. After downloading and reading the Reiki Level 2 manual you may proceed to the Reiki Level 2 Slideshow and attunement video. After downloading and reading the Reiki Level 3 manual you may proceed to the Reiki Level 3 Slideshow and attunement video.